That’s why people have invented the internet, blogs, and social networks – so that we could post and share our workout pictures demonstrating our (yet to be/already) perfect shape, and watch others do the same. However, it’s much more than that. For many, blogs are a great source of new information, tips, recommendations, fun, and, most importantly, motivation. This is exactly the case with fitness blogs – some of them are serious, some are funny, some are strictly fitness-oriented, others are a little bit of everything. We love them all but not all equally. 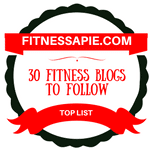 Here are the top 30 fitness blogs you might want to follow. Kicking it off with a perfect fitness couple – Steve and Bonnie Pfiester. These guys have been married for 21 years and have rightfully earned their nickname “The Dynamic Duo” due to the fast-paced videos and a great attention to the “fitness” aspect of bodybuilding rather than “muscle” aspect. On Pfit blog, you will find not only a lot of the “expected” information (like exercises, workout programs, nutrition tips etc.) but also such topics as motivation, spiritual encouragement, and fitness product reviews. Additionally, these guys will help you organize your workout time with your significant other, making your exercise efficient while wasting zero time. Unlike most, this blog isn’t personal. Instead, it employs a network of bloggers, collaborators, and influencers bringing the best fitness-related topics from all around the web in one place. 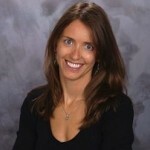 FitFluential mainly concentrates on the workouts and healthy diet as well as fitness lifestyle. There are also podcast on various subjects and giveaways, which makes this blog incredibly easy and fun to read. What makes this site stand out is the fact that so many opinions are included in the mix, allowing you to always listen to the other side and ultimately forge your own opinion on the matter. FitnessOnToast is a special blog for many reasons. First of all, as the name suggests, it is primarily about healthy food and nutrition rather than workouts. Secondly, it put great emphasis on the “style” aspect of fitness providing many fitness fashion materials. And, finally, it has great design and just cool to browse. Not that it really counts as a feature but still, nice looks are alluring and they truly incite you to check this blog out. Run by a girl with a beautiful smile and even more beautiful body, whose name is Kasey Arena , this blog contains various healthy nutrition tips, recipes and fitness. Although it looks a little bit girlish, it’s still a great source of inspiration for those who want to transform their body regardless of their gender. So guys, don’t be shy and dig in. Fitnessista is an extremely useful fitness blog for young women (especially those who are going to have kids soon) and moms. 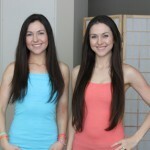 The author of the blog, a lovely brunette named Gina shares various tips on effective workouts and healthy diet as well as some family tips. If you want the best workout for young women, this just might be the perfect place to find it. PurelyTwins is a blog run by two good-looking twins (what a twist, huh?) named Lori and Michelle. Women will find a lot of information on various workout programs (including during and after pregnancy), healthy recipes, meditation. If you work out with one of your siblings, you are once again bound to find heaps of useful data on this website. Finally something for men! 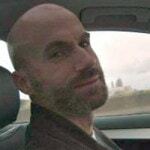 Dai Manuel is the actual name of the founder of this blog. On the pages of his blog, Dai goes beyond the regular topics like workouts, diet, and motivation – he shares his advice on all “five pillars” (as he calls them) of a successful life: Family, Finances, Fitness, Fun, and Faith. Therefore, this is more of a well-rounded site focusing not just on exercise, but on the whole life philosophy surrounding a healthy and fit body. 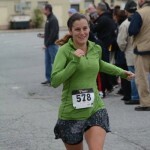 Another interesting entry on our list – a blog run by a nurse who loves fitness and running. 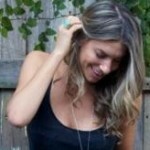 Toni, the author of the blog, is married with two kids and lives a healthy lifestyle sharing her tips with the readers. 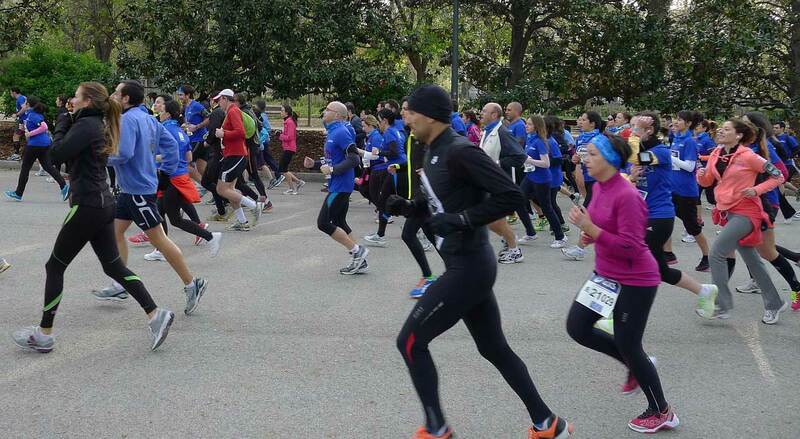 For those of you who are planning to run a marathon, this blog will prove invaluable as Toni has collected great tips on marathon training, based on her own experience. 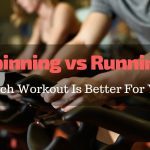 Best fitness site for marathon runners? It just might be one of them, yes! FitFulFocus is a blog dedicated to all things CrossFit. The founder of the blog, an energetic girl named Nicole, cover various topics like CrossFit training and healthy food recipes. Lou Schuler is a fitness industry veteran. Among other things, he is a contributing editor of Men’s Health magazine. 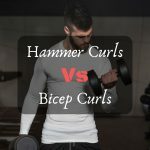 On his blog, you will find a lot of great content on that provides a great in-depth look into the theoretical aspects of fitness. 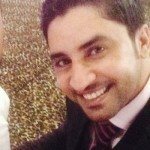 Suitable for both men and women, this blog stands really strong in terms of the content quality. WorkoutNirvana is for women who “want to own their power with strength, clean eating and beyond,” to quote the source. It’s not every day that you meet popular strength training blogs for women, and this blog is a great exception. Brief, informative, and useful – the way a blog should be. Highly recommended, a thumbs up from here! 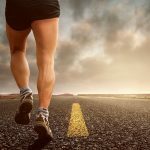 Mile-posts is a blog dedicated to all things running. Maintained by a woman who has run an astonishing 31 marathons (can you believe it? ), this blog will help you train the right way, teach you about the running routines, and explain, which gear is more suitable and why. We are looking at one of the best blogs for runners, and we thoroughly recommend to anyone to check it out! No, this one is not for geeks, as you might have probably suspected from the name. However, the science is really strong with this blog. Run by Hayden-William Courtland, a personal trainer, and a doctor who has degrees in medical science (Biochemistry, Anatomy & Physiology and Orthopedics), this blog will prove very helpful to those who take training and diet seriously. This blog is run by an Australian lass Lee Sutherland and has some really cool content not only on healthy nutrition and workout but also on the healthy way of thinking. It’s packed with all sorts of useful information, and we really like how the author’s style is always on point and with no filler whatsoever in most cases. 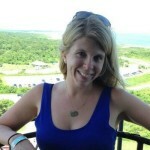 Just like Fitfluential, Fitnistics is a collective blog with many contributors. Its main topics are diet, weight loss, fitness and facial care. 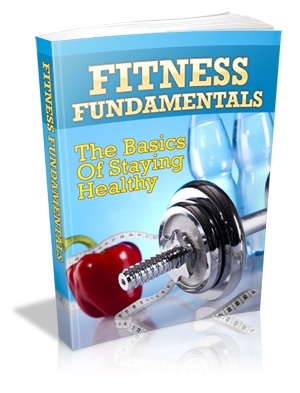 Although it may seem like it mainly for women, men can also find some really good fitness tips here. After all, men should care for the skin of their face too). “Because heavy things won’t lift themselves” – this is the catchphrase you will see on the main page of Tonygentilcore, a blog run by a coach and writer Tony Gentilcore. If you like straightforward, you will love this blog. Tony delivers information just like a man who’s got a lot of weights to lift would and that’s why we love him. It’s not all about beans, as you might have thought. The Lean Green Bean is run by a registered dietitian named Lindsay and has a lot of great healthy food tips (not only beans, remember?) for both adults and toddlers. Weekly meal plans on this blog are worth additional mention – they’re that good. One of the most professional blogs on this list – the content is top-notch, the topic range is beyond your wildest expectations (anything as healthy, fitness, exercise and nutrition). Three main sections of the blog (Learn, Train, Fuel) contain a ridiculously huge amount of highly useful information. This blog takes #1 spot (pun intended) in a few categories. First, it has the cleverest name ever for a fitness blog. And, finally, ah… just take a look yourself! It’s really worth it. 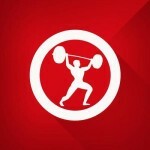 Great info about weightlifting! An obvious allusion to the famous “femme fatale” expression and there you go – a perfect health and fitness blog for women who want to get themselves into shape (or stay in one). Apart from the more-or-less expected content (diet, exercises, motivation), this blog runs a few interesting contests (such as Featured Fitale, for example) and boasts a dedicated online community. Here, the “meat” means the flesh of dead animals, not what you have thought. It’s a nice blog promoting vegetarian diet among athletes and offering a great deal of meat-free recipes. The content is structured really well – tables, infographics and all that. Even if you don’t become a vegetarian, you will still enjoy the materials on this blog. 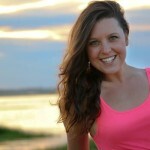 A blog run by Elle, a 31-year old fitness professional. The main focus of KeepItSimpelle is motivational and inspirational aspects of training and workout, along with healthy diet and lifestyle tips. Very emotional and personal appeal makes this blog really stand out. FitnessBlackBook tackles some of the lesser known and rarely covered fitness topics such as the after burn effect and when it’s time to quit a workout program. The site has recently undergone major reconstruction and now it’s ready to welcome new visitors. The original style of its author Rusty Moore is unmistakable. 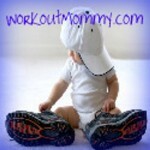 As the name suggests, ComeBackMomma is a blog for moms who want to get back into shape after having a child. The author, Jenn (a mom and a wife herself), offers the content in a very warm and fuzzy fashion that is, nevertheless, interesting and keeps you really engaged. 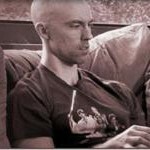 Mark’s Daily Apple blog! Mark Sisson, the blog owner, supports “back to our roots” philosophy, suggesting that we should observe the diet and way of life our ancestors had thousands of years ago. Experts agree that the food is vital for shaping your body the way you want, and Mark fully agrees! 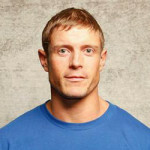 You can see more articles on his blog about health, nutrition, diet, weight loss and fitness. A fitness blog run by Theodora, a regular person just like you and me who has once lost 50 pounds of weight, thus discovering her own path to healthy lifestyle – something that we all can relate to. Therefore, if you’re looking to lose a fair chunk of weight before shaping your body, this is it! This is almost a diary – and quite an interesting one! Despite what you may have thought, this blog is not about men’s workout but women’s. 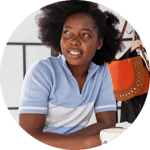 Run by “Little Drill Sergeant” Shannon (as she likes to call herself), this blog boasts quite an original way of delivering the content to its readers – all that army style, you know. Articles have mix training and solid fitness advise. Finally something for young girls! In her blog, Jessi gives great practical advice and shares a lot of helpful tips on workout, coaching, and fitness. 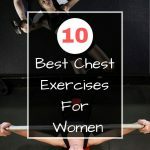 We are looking at great workout tips for women, lady exercises, and a vast array of information to help any lass optimize her time in the gym and during workout in general. Plus, she’s a lover of Scotch on the rocks – can you imagine a better fitness coach? This one is for moms, coming from a single mom named Lisa herself. 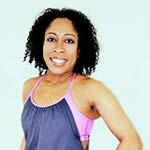 A “fitness junkie” by her own definition, Lisa has four kids and is able to maintain a great form. How does she manage to do it? The answer is in her blog. What makes this page additionally stand out is that the exercises and recommendations are specifically tailored to meet the demands of women in what is generally perceived as “mom age,” as well as women who have given birth. One of the most original entries on the list, RebootedBody is a website/blog that might seem to take its role too serious (aiming to change the landscape of human health). However, the content is pure gold, especially the articles on psychology and fitness program of Kevin. In today’s world of an abundance of information, it’s very easy to get lost. Bad, wrongful information leads to bad, wrongful decisions, and your health is not something you cannot afford to risk with. Therefore, keep your eye on the best of the best – those who have achieved real success themselves and have enough passion and knowledge to share it with others. But most importantly – listen to your own self. Apart from that, we can confidently say that based on years of experience in the field, each of the listed 30 individuals is fully worthy of your attention and you simply cannot regret visiting their blogs. 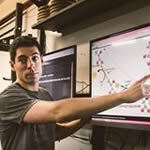 They are full of useful information and something to learn from every day. It’s good stuff and we highly recommend it.